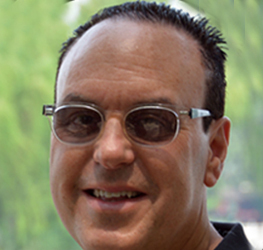 Jeff has over 35 years of experience in the technology and entertainment industries and has co-founded several start-ups including mobile commerce pioneer BarPoint.com in 1999. Jeff joined the .CLUB team in March 2012, and has led the company’s marketing efforts throughout the process of acquiring and launching the .CLUB top level domain. Previously, as Vice President, Chief Evangelist at Myxer from 2007 to 2012 Jeff played a significant role in growing the mobile entertainment company into one of the top 15 mobile websites in the U.S. He is a Co-Founder of EntrepreneurWiki, and Social Object Factory. Jeff has also written and produced for film and television and is the author of the entertaining marketing book, Everything I Know about Business and Marketing, I Learned from THE TOXIC AVENGER. A graduate of Cornell University, Jeff is a frequent speaker and panelist on domain names, mobile marketing, digital music, entrepreneurship and social media. He has been an online instructor for the University of San Francisco’s Mobile Marketing Program. Jeff has had articles published in AdAge, Forbes, Entrepreneur, DMNews, Mobile Marketer, iMedia Connection and others. He was a co-host of the Cast of Dads podcast and has written regularly for a number of blogs including Dadomatic.com, SocialNetworkingRehab.com, and his personal blog, Sassholes! He also served as an Intel Advisor and Sony Digidad and is currently a member of the board of directors of The Domain Name Association (TheDNA.org).